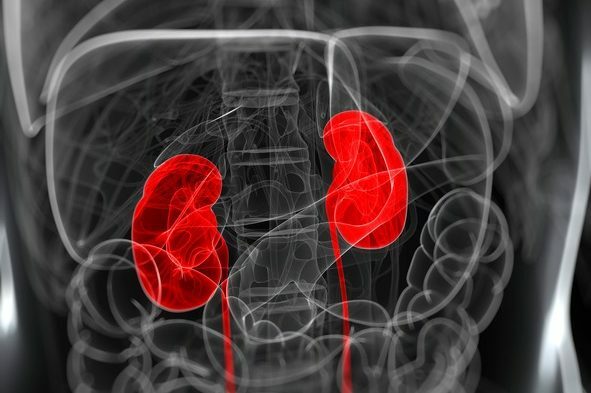 About one-third of patients will experience disease recurrence after undergoing nephrectomy, and clinical trials exploring the use of adjuvant therapy in these patients produce conflicting results. The armory of drugs available to patients with advanced renal cell carcinoma (RCC) has grown significantly in the last 10 years. Unfortunately, patients with locally advanced, non-metastatic RCC do not yet benefit from many of these advances. Surgery remains the best chance for a cure in this setting. A series of tyrosine kinase inhibitors (TKIs) have shown efficacy against metastatic disease by targeting angiogenesis or the mTOR pathway. Three large clinical trials have also evaluated these approaches in the adjuvant setting. The ASSURE trial (ClinicalTrials.gov Identifier: NCT00326898) included 1943 patients and randomly assigned them to 1 year of sunitinib, sorafenib, or placebo after undergoing surgery.4 No improvement in disease-free survival was seen with sunitinib or sorafenib compared with placebo, and TKI-treatment resulted in higher rates of several adverse events including hypertension and hand-foot syndrome. It is unknown why antiangiogenic therapies are successful in the metastatic setting but not in locally advanced disease. According to Dr Massari, it may be because micrometastases do not have the same vascular supply as larger tumor deposits. Leah Lawrence is a freelance health writer and editor. She has contributed to trade, consumer, and medical association publications and websites focused on hematology/oncology, cardiology, primary care, endocrinology, and general health.